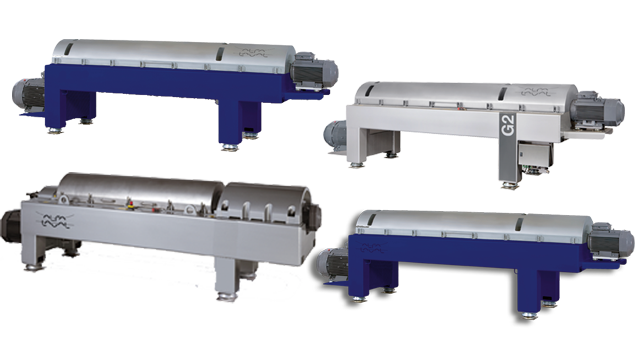 Alfa Laval decanter centrifuges provide exceptional performance when separating solids from 1 or 2 liquid phases in one single continuous process. The units are designed to handle a wide range of particles with diameters from 5 mm to a few microns. With their high efficiency, continuous operation, low capital cost/capacity ratio, low maintenance costs and low energy consumption, the decanter centrifuges are ideal to use in a range of duties including process, food and waste applications.